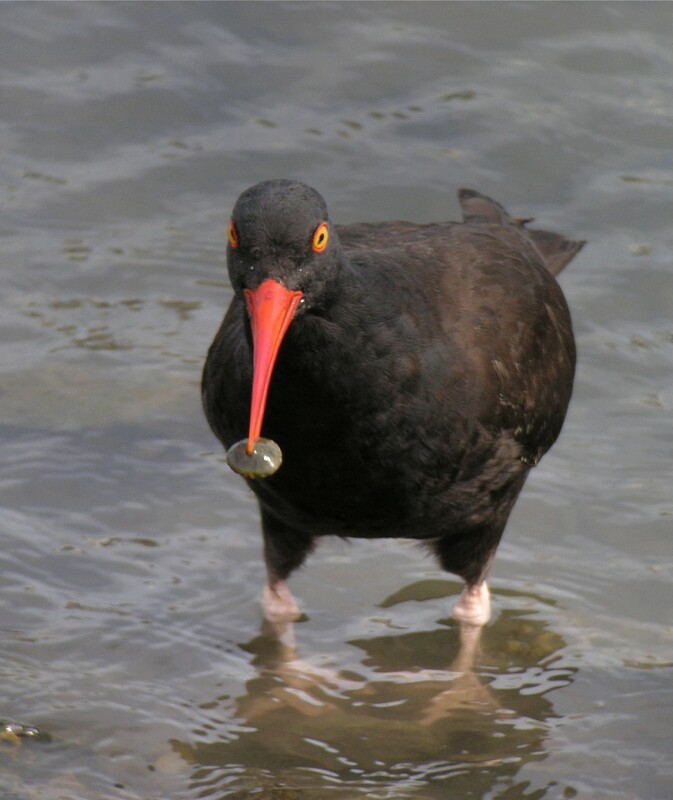 Over the past 5 years, Black Oystercatchers (that really don’t catch or eat oysters) have returned to the local Dana Point area after decades of absence. They make their nests out on the outer breakwater of the harbor and hunt at low tide in the Doheny and Dana Point tide pools. They live as monogamous pairs, making their nests by tossing rock flakes, pebbles or shell fragments toward their nest bowl with a sideways or backward flip of their bills. They use the same nest year after year. BLOYs feed primarily on molluscs, such as limpets and mussels.